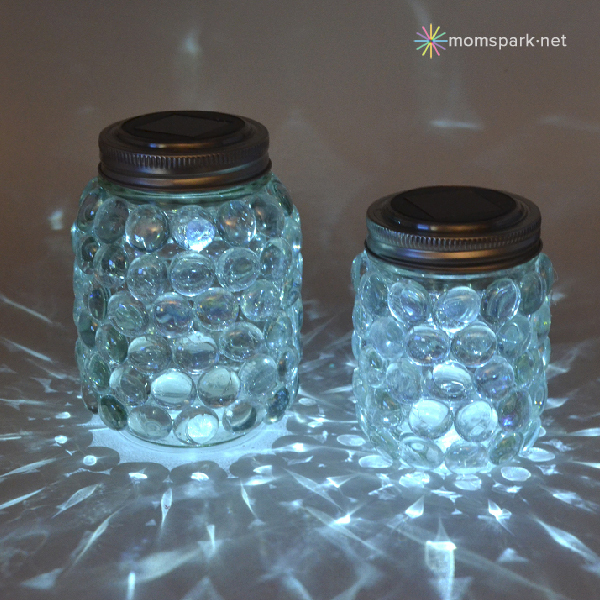 I have shared 15 solar mason jar luminaries but I missed these in my round up. I ran across these gorgeous beauties from Mom Spark today and just had to share. Click here to get the full instructions for making your own luminaries just like these. I am slowly gathering what I will need for this. I plan on doing a few different colors, but the ice blue is my first attempt! Thank you so much for posting this... I use jars as picture frames as well.... I love jars!!! are these blue gems iridized (the mother of pearl effect)/ I want the best effect for these christmas gifts I am making... I LOVE the ice blue one and think my sister would love one in this color as well. please get back with me as soon as you can, thank you so much! I love this idea!